Over the past year it has been troubling to see large new development projects planned for areas around Vermont’s highway interchanges. It was not that long ago that Vermont’s then Governor Howard Dean issued an executive order protecting our highway interchanges from sprawl development. Our public dollars created the interstates and we have a responsibility – to our pocketbooks and to our environment – to take good care of them. That responsibility includes avoiding traffic snarling commercial sprawl at our highway exits. Highway sprawl is expensive. A look at the roadway improvements planned around Burlington, Vermont, including two multi-million dollar interchange re-builds, show that many of them are needed now because of the commercial sprawl that sprang up around these exits. As federal transportation dollars dwindle, we can ill afford to promote sprawl near highway exits that is guaranteed to require new and expensive upgrades in the coming decades. As we drive more to reach commercial developments near highway exits we increase pollution and greenhouse gases as well. Governor Dean’s executive order from 2001 recognized that development at interstate interchanges can mar not only the scenic character of the state, but also can impair natural and agricultural resources and harm tourism. It directed state agencies to foster conservation of land in and around the highway interchanges. Moving away from Governor’s Dean’s vision, this past year developers proposed changing Vermont’s Act 250 land use law to make it easier to build on valuable farmland. A poster child for this was a massive new commercial project planned for the Randolph highway exit. The plan would pave nearly all the farmland at the highway exit and replace it with a large commercial development, a portion of which would serve as a state visitors’ center. Instead of protecting land around the interstate, state agencies would be partners with this sprawl development. The proposed Act 250 change that would have helped this project never passed the Vermont Legislature, and the project appears to be on hold. Now there is a proposal for a new truck stop-like huge convenience store along with a “state sanctioned welcome center” on a farm field just twenty miles up the road at the Berlin exit in Vermont. Traveler services are needed, but they come at too high a price if they are married to massive sprawling commercial developments at our highway exits. This past year the Vermont Legislature did amend Act 250 to provide stronger protections against strip development outside of town. If some of these projects at our highway interchanges move forward it will be a good test of this new protection. 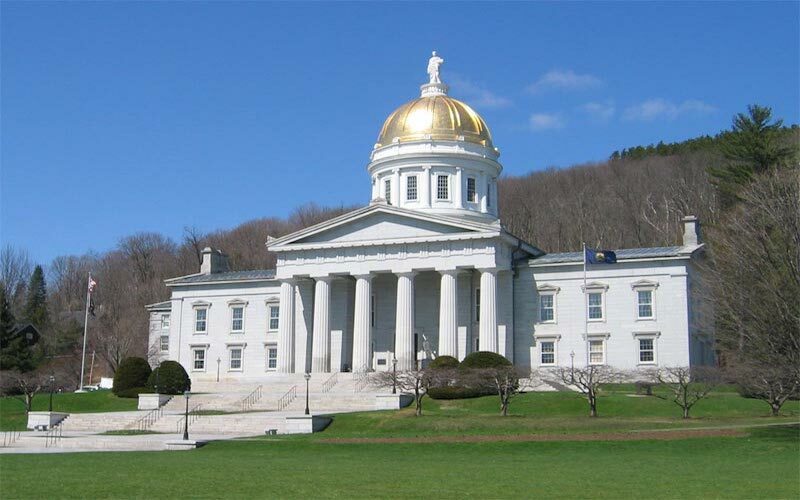 In contrast to these highway developments, the Vermont Judiciary just announced that it will move the State’s Environmental Court to downtown Burlington. This is good news. The Environmental Court, which hears appeals of Act 250 and local land use decisions, will no longer be in a stand-alone office building on a farm field outside of town. Instead it will set a good example for developers by being better integrated with other courts and closer to services in a downtown location. Our public dollars, natural resources and scenic beauty are too important to squander in exchange for some short-term savings that burden future generations with more pollution and higher costs. Like the Environmental Court, the public investments and development decisions we make today should stand as good examples for generations. A version of this post first appeared in the Sunday July 19 edition of the Rutland Herald and Barre- Montpelier Times Argus.